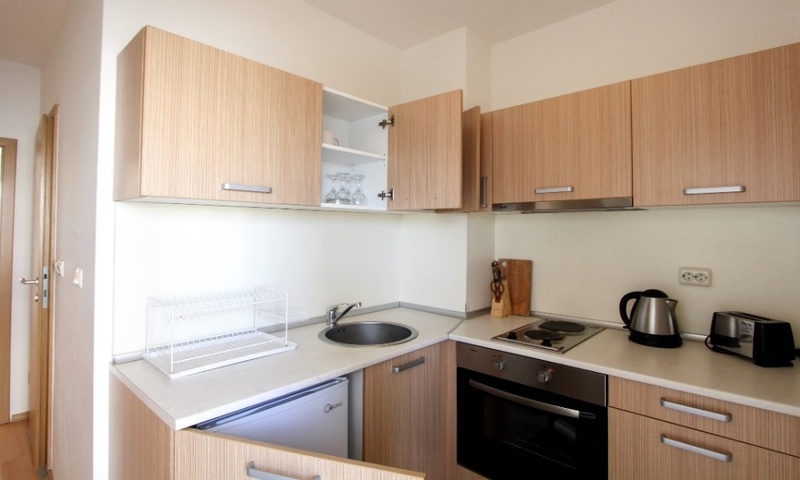 Our 35 m² Studio Apartments are with fully equipped kitchen. 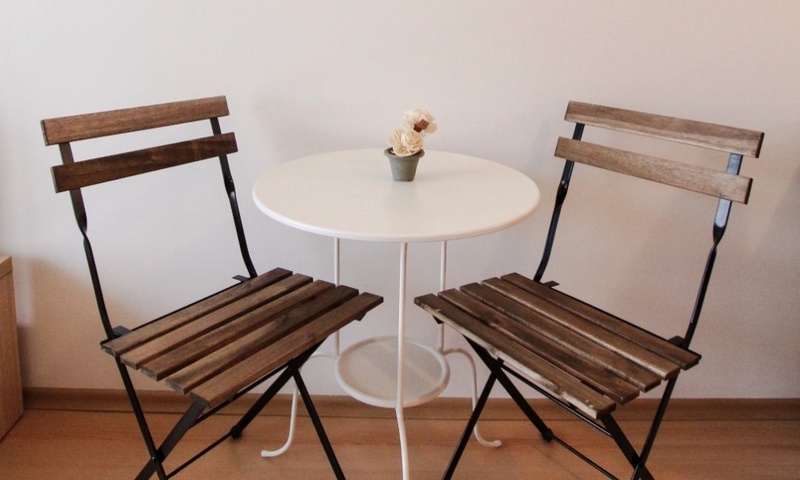 Dining area with table and 2 chairs. Double bed or two single beds, wardrobe. Bathroom with shower-cabin and toilet. Large Balcony.